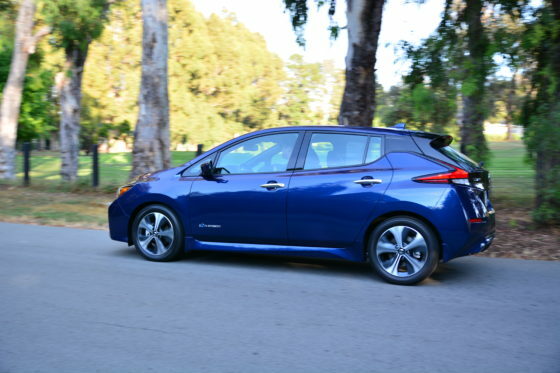 The very best selling pure EV vehicle is without question the Nissan Leaf. 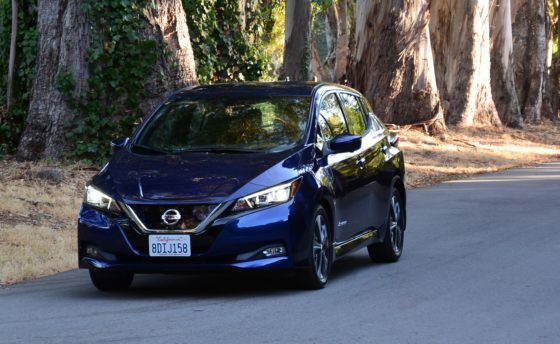 We extensively tested the first-generation model with both its electric capacities and were ultimately very impressed with the overall drivability but disliked its plebian design, fitment and limited range. So, I was eagerlylooking forward to spending even more quality time behind the wheel of the all-new 2ndgeneration model under real-world conditions since we initially tested it under a very controlled environment in Singapore earlier in the year. Charge times are still quite lengthy. 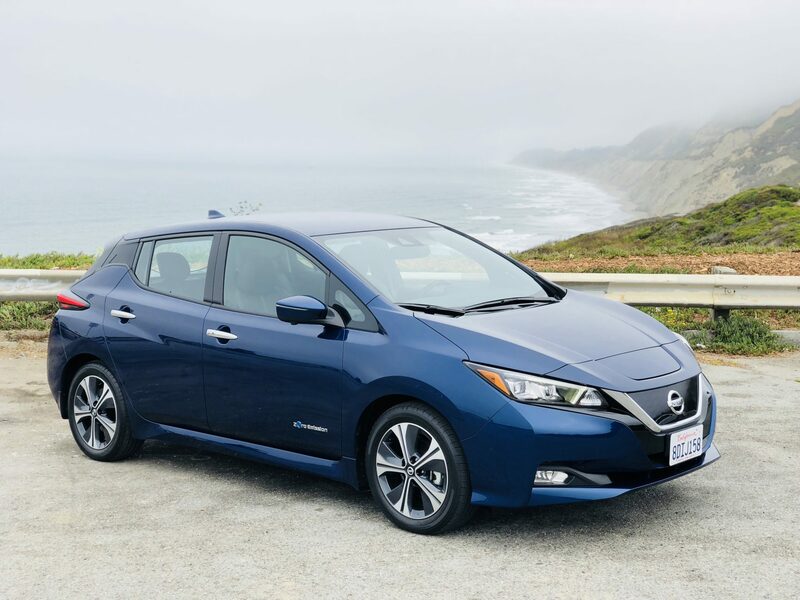 At 220V, a full charge would take 7.5 hours, at 110V- a whopping 35 hours;thankfully,the quick charge feature of 40 minutes yields an effective 80% capacity. We have here the most loaded top-of-the-line Deep Blue Pearl colored North American SL model, withLED headlights and LED signature Daytime Running Lights, outside heated mirrors with integrated turn signals, leather-appointed seats, and more. 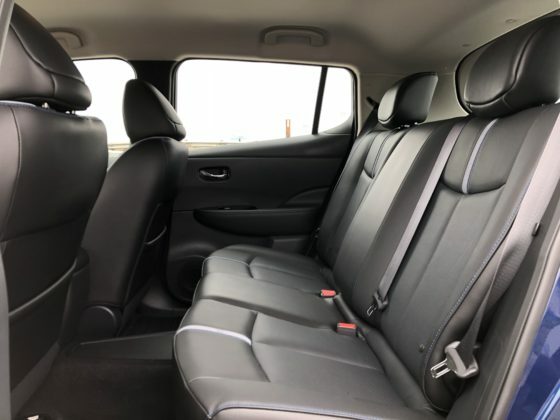 It may not have the outright swiftness and range of the Tesla Model 3 or even the Chevrolet Bolt but it is more spacious and carries more load than both aside from being significantly cheaper. The Bolt is certainly its most fierce direct rival. 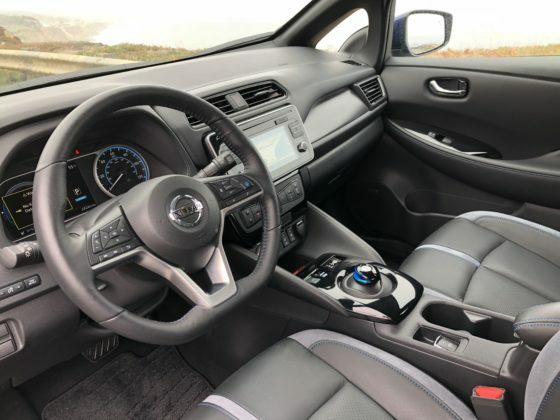 Nissan built on the success of the outgoing model and did their best to manage costs by using the same chassis but upgraded almost everything else. Despite the better-looking exterior design, and the extensive aerodynamic treatments applied in the undercarriage, the drag coefficient surprisingly remained the same at .28 cd. 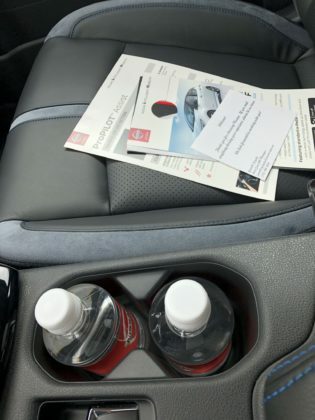 The Bose® 7-speaker audio system may be carried over but because the new acoustics are so much better now with the completely redesigned interior, it sounds considerably better. The new 7-inch center touchscreen is good but I expected more visual crispness from the Intelligent Around View Monitor (360-degree view). 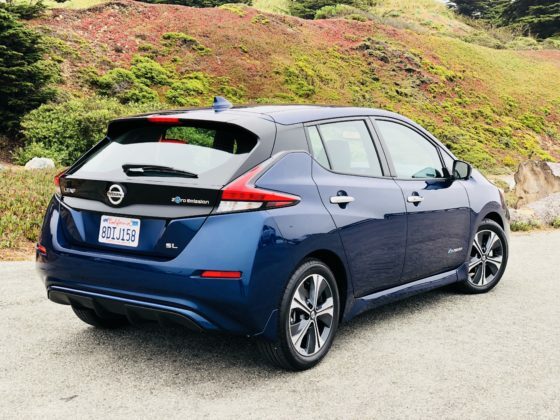 There was an almost 200-pound weight gain with all the new metal and equipment but the extra battery capacity and more energetic electric motor more than compensates for it. 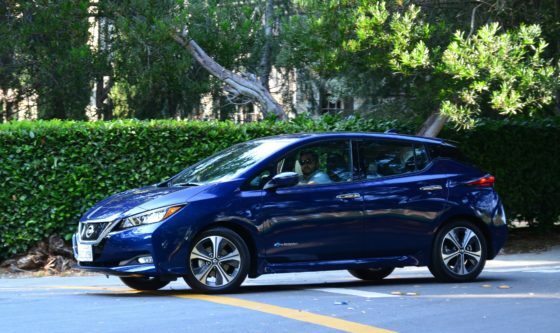 In fact, the new Leaf drives so much like a standard hatchback albeit in silence and additionally supported by the very usable e-Pedal which makes casual everyday driving extra effortless under 120 km/h. 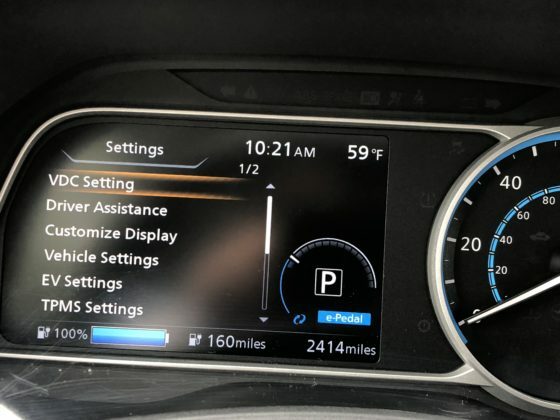 You barely need to actually engage the brake pedal except for emergency situations, and as a bonus, the system helps aggressively regenerate even more electricity when used. Together with the more spirited new motor (37% improvement from 107 to 140 hp and 26 % more torque from 187 to 236), the range increased from 172 to 240 kilometers. 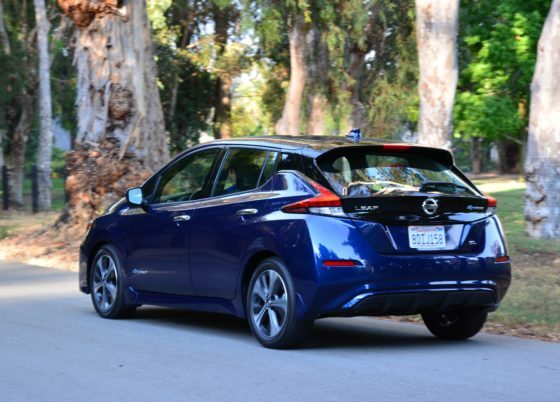 Because the center of gravity was also improved with the battery relocated lower to the ground, the Leaf also feels more planted though the low-roll resistance 215/50R17 Michelin Energy Saver A/S tires give up grip too early. The new steering wheel (10 % increase in steering torsion bar stiffness) together with the Intelligent Ride Control for more precise electric motor torque control both improved the general ride quality and steering control. The steering wheel itself is excellent in both appearance and functionality giving more feedback than I expected. The new instruments and switchgear are also appropriately upgraded and more configurable too. 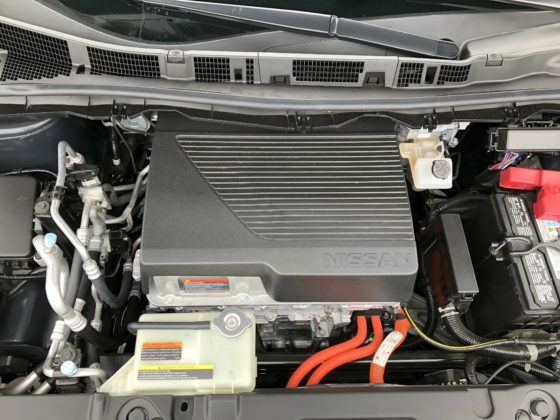 As of this writing, I have received word that it has been rumored that Nissan will soon add 20-more kWh with a 60.0-kWh battery which should not only generate a more competitive extended range but also produce more power for a livelier driving experience to hopefully bridge the dynamic performance gap between the Tesla Model 3 and the Chevrolet Bolt.